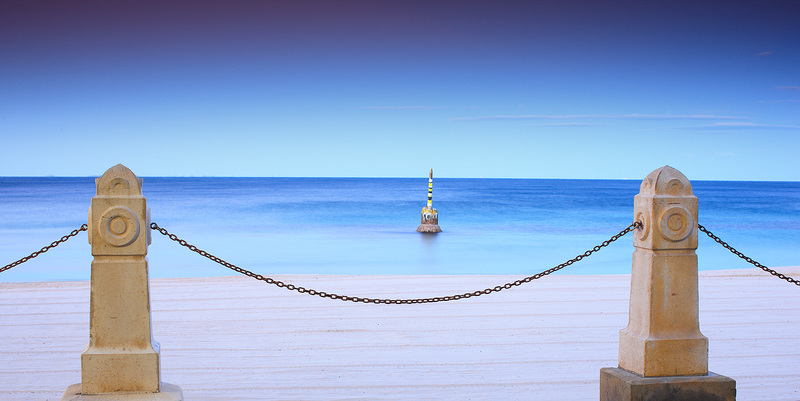 This entry was posted in Australian Landscapes, Beach Photos and tagged australia, beach, canon, canon 1ds mkIII, cottesloe, image, Jamie Paterson, landscape, long exposure, perth, photo, seascape, sunrise, western australia. But I can’t wait that long!!! Where you going? Did you think I was having a snooze again? keep the money coming….. wat eva u can raise ill double hahahah….. we should i go??? So this is the shot you were talking about….Nice one! Great composition, unique, and well processed. Stephen – Thanks for that! Mel – Lol I probably didn’t make a lot of sense when I was trying to explain it in person. Luke – Thanks for that, must admit I’m almost blushing now! Have a look outside and check out the moon and two stars. Its doing a wicked smiley face! I hope someone gets a photo of it. Its awesome. Hey Clint make sure you check out the Cape Vlamingh lighthouse while you are at Exmouth. Hmmmm ….not sure what to make of this Jamie. I’m looking for something but it just doesn’t seem to be there,,, it’s simplistic and effective and I like the light but it’s not quite right somehow. The bollards don’t quite line up and the pylon isn’t centre. Not sure if that is the problem even though it stands out but sorry mate it’s a nup from me, even if that is a bit harsh. Thanks for that. I do agree that the bollards don’t quite line up but I had the Indiana Tea House directly behind me which made this angle the only possible one. I’ll be back there again soon I think to have another crack at this shot. Jamie when I saw this I thought I was on Neals Blog. This is by far your best photo ever, just love it mate. Would like to have seen the buoy in the middle but the idea is fantastic. And now I’m totally speechless!!!!! Thanks Christian. I’m defintely heading back to get this one right. Fletch is right this is easily your best and it is extremely unique and fresh!